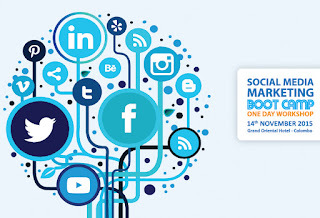 After two successful workshops in December 2014 and April 2015, I am pleased to announce the third repetition of the Social Media Marketing Boot Camp program again in this November. 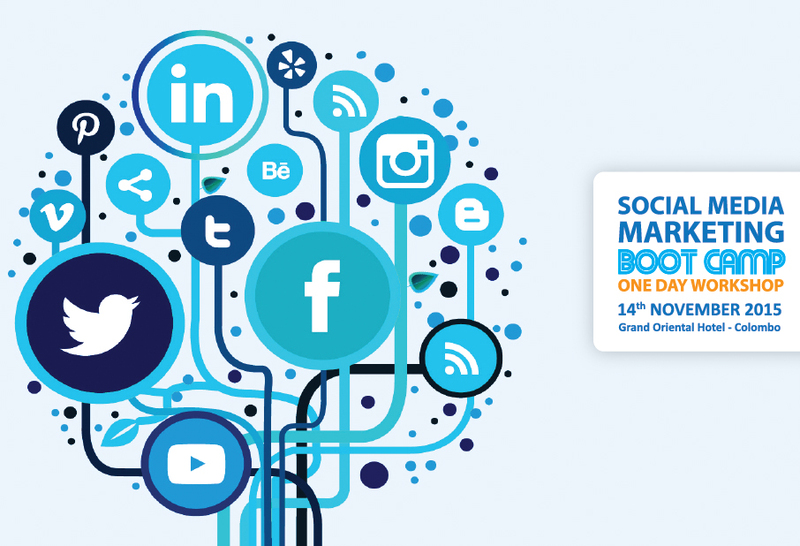 Social Media Marketing Boot Camp I conducted for eBusiness Academy is designed and delivered in a way it covers all the essential things a marketer should know about using Social Media in marketing. It’s a workshop which goes beyond the popular myth that Social Media is all about gaining likes on Facebook, or all about boasting of the number of Social Media platforms one’s brand is having profiles. This time I am happy to have Milinda Tilakaratne as a co-trainer for the workshop. Milinda had been in the scene of Social Media Marketing for over 6 years for one of the leading telecommunications company in Sri Lanka and is among the elite group of few Sri Lankan marketers who can really boast for having hands on experience in Social Media Marketing for more than 5 years. Outline content of the workshop will be more or less be the same as in last two versions of the Boot Camp. If you have participated in any of the previous Social Media Marketing Boot Camp sessions I conducted through eBusiness Acadamy, you are recommended not to register for this event. (Instead, I would be really grateful to you if you could recommend this workshop to someone who has not participated in the Boot Camp before). This time too the venue for the workshop will be Grand Oriental Hotel in Colombo. Reserve your calendar for 14th November 2015 and wait until EBA opens the registrations for the event. You can buy one ticket to the workshop and bring a friend or a colleague 100% free of charge. This will be a limited time offer open for only a few hours of the registrations opening day, and only for a limited number of seats. Please keep an eye on all updates coming from me and EBA to know more about this special early bird deal! Click here to see the workshop details.